Organized by Tourism Administration of Guangdong Province, executed by industry top company GZL Travel, the CITIE – China (Guangdong) International Tourism Industry 2018 is opening on 7 – 9 September at Canton Fair Complex in the Chinese Guangdong Province’s Capital City GUANGZHOU. The annually held event, entering into its 14th session, is serving the dynamic Southern Chinese tourism market with the largest scale of total 90,000sq.meters, the most international destinations presences of over 100 countries and regions, and the best profits results. This coming season, the Expo will focus on creating more momentum to the burgeoning Guangdong – Hong Kong – MACAO Greater Bay Area as well as linking more Belt and Road Countries destinations with Guangdong market such as Latin America and Africa. 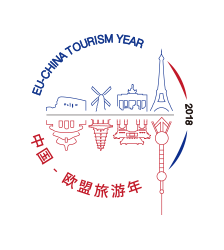 European Destinations Group Zone will be the global highlight in celebrating 2018 EU-China Tourism Year.